In the event that you are someone who is a compulsive smoker and have been looking for ways to cut down this horrific habit, then this article will be of much use to you. Cigarette smoking is harmful to your health for a variety of reasons. It can not only lead you to contract lung cancer, but it will also lower your fitness levels and give you wrinkles and increase your chances of contracting heart diseases. Compared to cigarette smoking, an electronic cigarette is a much healthier option. In this article, you will learn why you must use electronic cigarettes to improve your health and stop smoking cigarettes altogether. Ever since people started becoming aware of the dangerous habits of cigarette smoking a lot of people have started to look for ways to quit it altogether. But quitting cigarette smoking is a difficult thing to do. A lot of companies and brands have started to innovate and manufacture products which can lead to smoking cessation in the last few years. Starting with nicotine patches to nicotine filled gums; smoking addicts have used a variety of such products that are designed to help them quit smoking. But a lot of these measures have proven to be counterproductive, and people have continued to use cigarettes. One of the biggest difficulties that many people face when they try to quit cigarette smoking is in the withdrawal effects. The withdrawal effects range from having headaches to nausea to feelings of restlessness and so on. The body misses cigarettes and craves for some tobacco, and as a result, people go back to their unhealthy ways of smoking cigarettes. Perhaps the most useful and effective product in this regard is the electronic cigarette. The electronic cigarette which is also known as the e-cigarette or mods is the newest product designed to help people quit smoking. The electronic cigarettes are little electrical gadgets which are designed so that they can look and also feel like being real cigarettes. They also emit some artificial smoke, but these do not, in reality, have any tobacco in them, and neither is the smoke dangerous, in fact, it is just vapor. The users will be inhaling nicotine vapors which would look and also feel like a smoke, but it would be in reality simply vapor which would not have in them the normal carcinogenic elements that are generally found in all tobacco smoke and which is most harmful both to the smoker and everyone else who is around him. 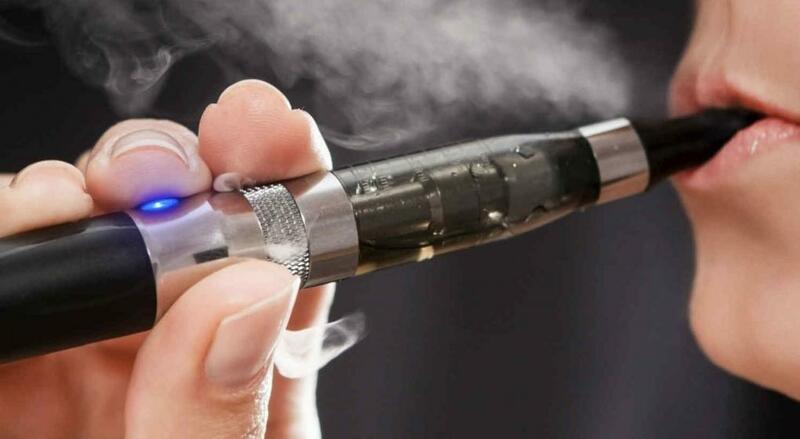 The electronic cigarettes will consist of nicotine cartridges which contain a liquid that also has nicotine in it. When any user is inhaling, there is a little battery powered atomizer that will be turning a certain amount of the nicotine-infused liquid into a vapor. The user will be inhaling this nicotine vapor, and he will feel the nicotine hit within a few seconds rather than within some minutes which happens when a user uses patches and gums. When the user inhales, there would be a little-LED light towards the tip of his electronic cigarette which shall be glowing in an orange color. This will simply simulate the smoking of a real cigarette. The nicotine cartridges will be coming in several different strengths. A lot of popular brands have nicotine liquids with full strengths of a normal cigarette. Normally, the strengths of the nicotine come in doses of 2 mg, 4 mg, 12 mg, 16 mg, and 18 mg.
A person who smokes about twenty-five cigarettes every day will require the 18 mg nicotine liquid while a person who smokes less will require a liquid with a lesser concentration of nicotine. This device is devised for making and helping individuals to quit their cigarette smoking habit. When he starts to get used to the electronic cigarette, he will be able to gradually lower the strengths of the nicotine till the time they can finally quit. Perhaps the primary advantage of using the electronic cigarette over the nicotine patch or the nicotine gum is in the fact that the nicotine hit will be a lot quicker. In fact, this is the main reason why a lot of smokers are unable to quit by using nicotine patches and gums in the first place as they continue to miss the act of being able to inhale some smoke from something in their hands. The electronic cigarette will be able to also emulate that completely. Electronic cigarettes come in various designs and shapes. Electronic liquids also come in different flavors ranging from chocolate to strawberry. For more information on KYLÉ CBD Pods. Electronic cigarettes have become considerably popular these days. It is a healthy alternative to cigarette smoking. They do not contain carcinogenic elements in them. They are also quite inexpensive. You can try out multiple flavors of electronic liquids. You will also be able to use them in public places. Cigarette smoking is injurious to your health, and those around you and electronic cigarettes will give you a chance to quit this habit. Hopefully, the information mentioned in this article will have helped you. Author Bio: Pete Campbell is a Health Guide. He loves to share his tips on Health with friends. He is passionate about gadgets.